Kids love the outdoors, spending quality time with their parents and grandparents, and they certainly love a great amusement ride! Golf carts offer all that and more. When you ride in a golf cart, you operate at low speeds, giving you time to enjoy the ride, your companions and your environment. 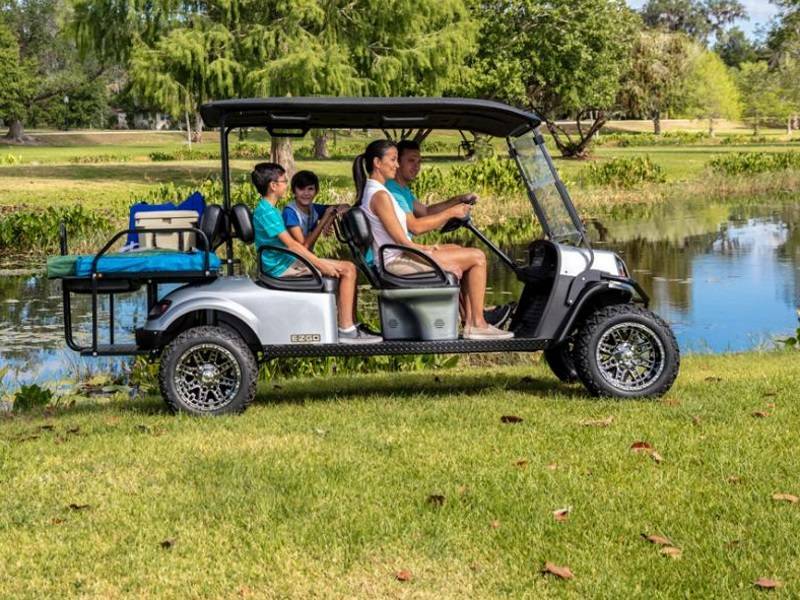 Golf carts are an excellent way for grandparents and parents to have some great times with their grandkids and kids, as well as to keep kids in tune with nature. An open air ride allows them to smell and see those roses close up and personal! If the school, baseball, soccer or football fields are close to where you live, golf carts can also be a great way to get to and from after school activities with your children. You can take kids on a ride to their favorite pizza place or custard stand. Want to be the cool parent? Pick up a few of your kid’s friends for a pool party or sleepover. You just nailed it! And golf carts are just plain fun. Isn’t it more enjoyable to hop in your golf car to run down to the neighbors’ real quick to say, “Hey,” than to drive your car? Isn’t it also nice when you can ride down the street on a beautiful day in the open air and socialize as you go? Sure is, and kids feel the exact same way!